If you’re new to Bio-D’s range of eco-friendly home cleaning products that don’t cost the earth, now is a great time to become acquainted! We have 20% off selected products until 16th October 2015. Find out more about this brilliant range. Bio-D uses only natural and plant based ingredients that come from ethical, sustainable sources. The natural ingredients used in Bio-D products means they biodegrade faster than the EU required standard; 67% less water is needed to purify the waste water from their laundry products compared to other leading brands. Bio-D is the only manufacturer to conform to BSEN1276, which means their products meet the highest food grade specification criteria too. Camarthen Bat and Hedgehog Rescue got in touch to tell Bio-D that they’ve been bathing these five-day old rescue hoglets in Bio-D products! 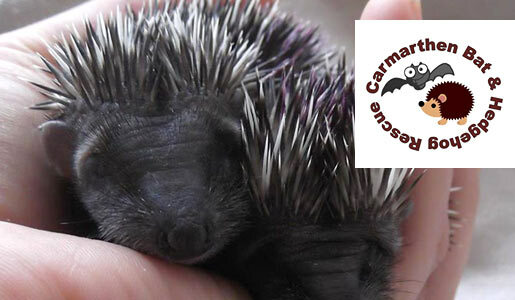 They said: “Our rescue hoglets have taken a bath in your lovely gentle products! We’ve ordered loads of washing up liquid (for baths) and other washing products (for cleaning their bedding) because we think you are great.” Well, if it’s good enough for the most adorable baby hedgehogs we’ve ever seen, then it’s good enough for us! This multi-purpose sanitiser spray can be used on all hard surfaces. Simply spray, wait 15 seconds and wipe. Kills 99.9% of harmful bacteria including Salmonella and E Coli. This all-round sanitiser cleans, disinfects and neutralises odours both indoors and out. It’s perfect for patios, driveways, green houses, water butts and wheelie bins, and can also be used to clean bins and clear sinks inside your home too. Makes light work of cleaning floors that are lacking lustre. Wood, vinyl, laminate and ceramic tiles can all be treated with this wonder product made from naturally-derived ingredients. For sparkling windows that are the envy of your neighbourhood, give Bio-D Glass and Mirror Spray a whirl. And then pray it doesn’t rain! Tough on burnt-on stains and grease but kind to skin, this hypoallergenic liquid contains vegetable glycerine to help hands stay soft and is guaranteed to get dishes sparkling. We’re big fans of their Lavender Limited Edition Washing Up Liquid too – get it while you can! Many Bio-D products are also available in bulk saving 5L and 15L sizes, and with handy refills to save even more packaging! Bio-D’s Concentrated Laundry Liquid is a versatile non biological concentrated laundry liquid. Good for both machine and hand washing. The container is recyclable. This is also available in 5L and 15L sizes. Bio-D is the leading UK producer of eco-friendly, natural home cleaning products. All Bio-D products are made in the UK from sustainable, naturally-derived raw materials and are free from petrochemicals, phosphates, preservatives, enzymes and synthetic perfumes. They are hypoallergenic, making them suitable for sensitive skin, and are Cruelty Free International and Vegan Society approved. All packaging is made from recycled materials and is recyclable; Bio-D products are recognised as Ethical Consumer magazine’s ‘Best Buys’. Next story Can you bank ethically?